NorthPoint Paddles - Greenland Paddles: Canoecopia 2017 was Awesome! 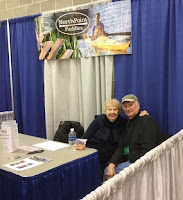 Thank you from all of us—Randy, Brita, Norm & Beth—for an awesome time at Canoecopia this year! It was a complete sell-out! Not one paddle left!!! Our best year ever at the show!!! A BIG THANK YOU to Darren Bush, owner of Rutabaga – the paddlesports shop in Madison, WI that puts on Canoecopia every year. We are grateful for your generosity in putting everything on hold for us last year, in light of the health issues Beth was going through then, and making it possible for us to participate again this year – and we are looking forward to next year! 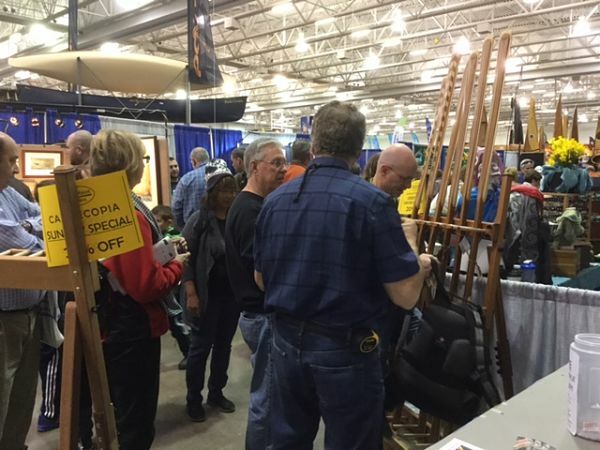 And thank you, too, to all of our Canoecopia family! Our booth neighbors: Lissa & Ann and the rest of the crew at Silverwaves Jewelry, Bob & Geri at Rock Art in Watercolors, and Robert at Wilderness Ironworks. And to the Langlie family, Nick at Windpaddle, & others, too! It was so good to be back with all of you again. Your warm welcome, love, encouragement, and support meant so much to all of us. AND TO OUR CUSTOMERS...we couldn’t have done it without you! Thank you, thank you!!! 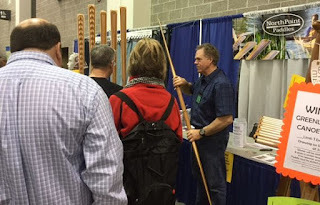 It was so good to visit with those of you who had bought our paddles at previous Canoecopia shows and to meet new customers and be able to share our passion for Greenland-style paddles. It was an amazing time!!! Again, thank you for an awesome Canoecopia 2017!!! See you next year, March 9-11 – only 357 days to go!! !